A question I’m sometimes asked is whether HMRC is a great place to work. My answer is yes – I’m proud to be a part of HMRC’s Digital Service! ​​When I tell friends where I work, I get the occasional odd look. But that doesn't stop me from trying to challenge any misconceptions they might have of HMRC and government services in general. Yes we collect tax, but we also do much, much more and that means we play a critical role in the economy. I feel it’s part of my job to educate people on the great work we do in HMRC’s Digital Service. 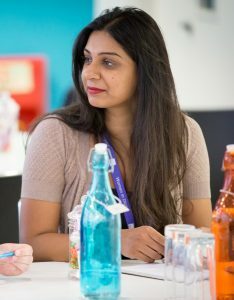 My name is Kay Patel and I’m blogging this week to support International Volunteers Day about how volunteering in the community can help those without digital skills to learn and make the most of the opportunities that being online has to offer. 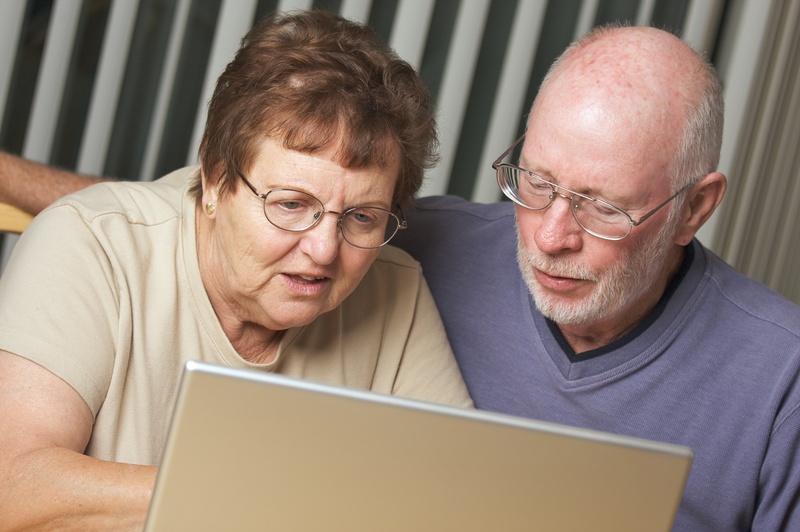 In my day to day job, I work with digital teams to make sure those who cannot use our digital services independently are supported and not left behind, but it doesn't stop there. I am also a volunteer coordinator and an active volunteer myself. HMRC provides its staff with opportunities for career development and progression through mentoring, training, development schemes, and community volunteering. Community volunteering, in particular, is a fantastic way to connect to the very people we are building our services for and making sure everyone can use them. It also provides an interesting way to develop new and existing skills. We do not volunteer, for the most part, because it benefits us. We volunteer because we want to make a difference. Sure, we know that volunteering can make us feel good, can help us gain confidence by having the chance to try something new and get a real sense of achievement. Yet, volunteering helps to build stronger, more inclusive communities. In fact, I wholeheartedly believe in the reciprocal benefits of volunteering; volunteers get as much from the experience as those they support. And we want as many people as possible to enjoy the benefits of being online. We are building great digital services for everyone and we encourage colleagues go out to local communities or charities and help people learn basic digital skills. Through this we can help overcome barriers and make a real change by helping people build their digital skills. This is not only about using government digital services but opening up a whole world of online possibilities – things like shopping and staying in touch with friends. This also helps colleagues to understand the barriers people face contributing developing and designing services that are simple to use and intuitive enough that users succeed the first time. Here’s an example of what I mean. 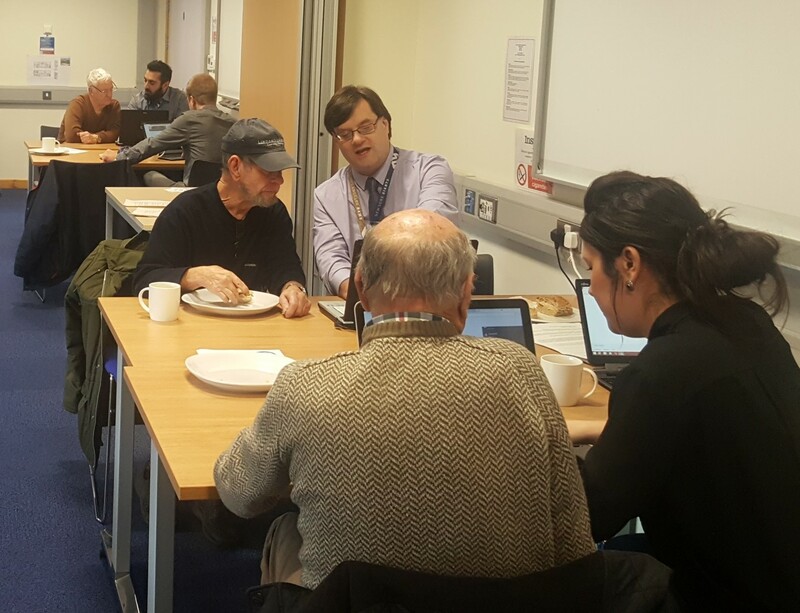 On 28 November a group of HMRC volunteers ran a digital skills session, working with both Business in the Community, and Fujitsu – one of our IT partners, to support members of EccyMensGroup. We looked at skills such as how to use internet search engines, how to navigate a laptop, and the basics of online security. Members of EccyMensGroup were nervous beforehand, but came away with confidence about their new skills. I really enjoyed the friendly and relaxed atmosphere. The man I was working with explained he lacked confidence in using the computer, but by the end of the session he felt much happier to try on his own- even shopping for a new pair of shoes without help. This session helped me grow in confidence with my communication abilities which was the point of volunteering to challenge myself as well as sharing my knowledge so someone else could strengthen theirs. Taking time to interact and volunteer outside my day-to-day job enables me to learn more about myself. I get to meet diverse groups of people, work on common goals, and gain confidence in my work. It also helps me to learn and develop my skills - volunteering is a much more fun way of learning. I’m proud to be part of HMRC’s Digital Service and playing a part in helping shape the future of government services. I do really love my job and, even though there are challenges, I look at all the great things I get to work on and contribute to as well as being able to support my passion for giving back to the community through volunteering.